note the scaffolding going up for its demolition. 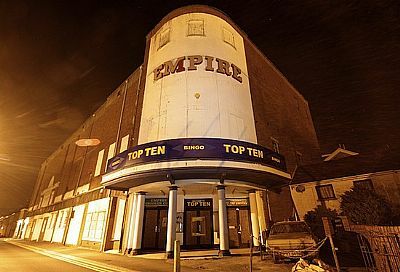 At night time - taken from an usual angle. Note that the Vauxhall Viva is rooted to the spot. 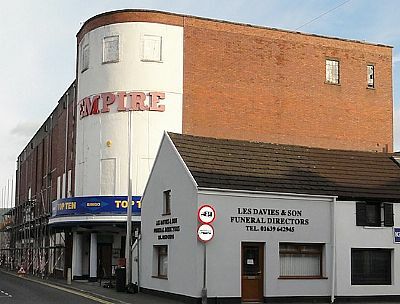 Bought by the Coastal Housing Group in 2011 to demolish and be replaced by 12 flats for social housing. 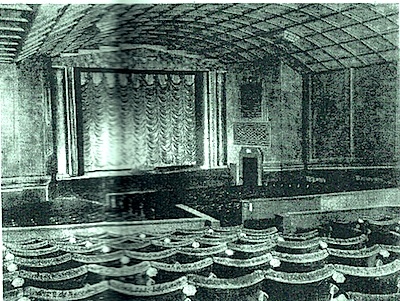 The website highlights the years 1926-1959 when it was Neath's favourite cinema, having over 6million visits by cinema goers. The days before television became popular home entertainment. 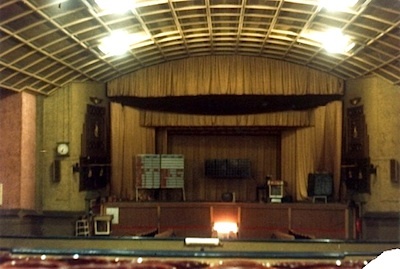 The website is dedicated to Bryn Symmons, Chief Projectionist and House Engineer (1943-1957) and his daughter, Sylvia. 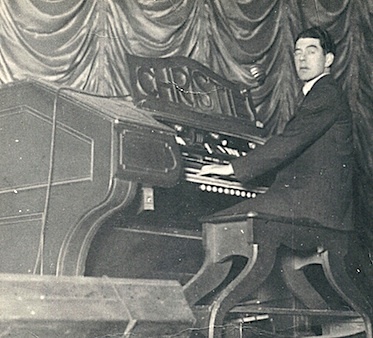 to have a Christie Cinema Organ (installed in 1931). 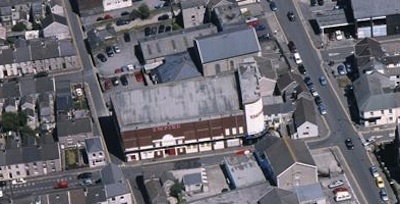 and would have made an ideal community centre. No responsibility is accepted for the advertisements put on by the hosting service, which are not endorsed in any way whatsover. All information is put on in good faith and no responsibility is accepted for any errors or omissions that may occur.